Good content marketing is what brings generic phrase seached traffic to your website. Without content marketing you will only get search traffic from people already aware of your Australian brand marketing, who are searching for you by name. Content marketing gives you the chance to attract search traffic from a broad range of search terms, massively increasing the number of inbound clicks to your website. Hire our copywriters to produce interesting, informative, keyword rich copy on a range of specialties or let us edit your copy for SEO. Hire our researchers to gather data and present statistical reports. Data-driven content generates nearly 300% more backlinks than content that isn't data-driven. Hire our graphic designers to produce infographics. Hire our videographers and drone pilots for video production. Map Marketing: Get us to help you create interesting, search engine friendly maps to help in discovery of your location/s. Example of our yellow highlighted SERP winners. Bookmarking sites such as Stumbleupon, Delicious etc. Google maps. Did you know if you geotag big enough images in your Google+ or Picasa or Panoramio photo albums, that your photos can end up on Google Maps to get thousands of views. If you want 10 minutes of free content marketing advice in Australia, phone +0418958799 Western Australian Time 8 to 5, Monday to Friday or go to the contact content marketers link at the top of this page. 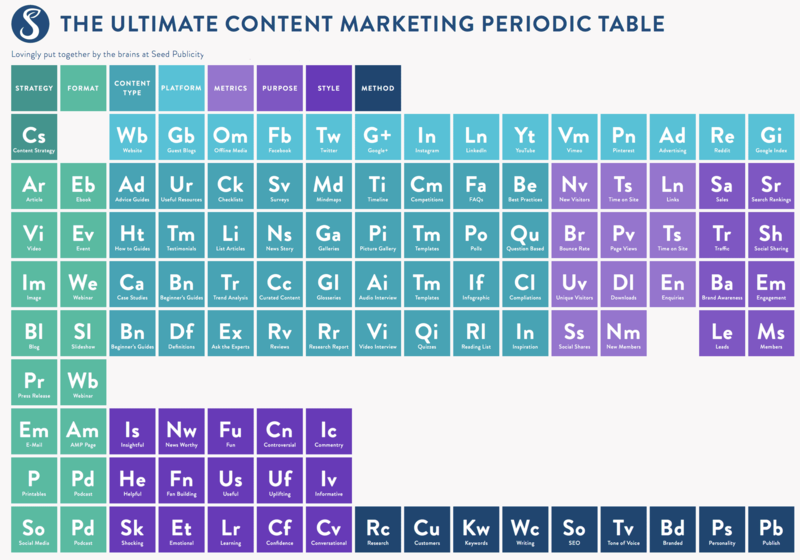 These content marketing ideas are so big that this good, comprehensive content marketing table is best opened on a big screen.